No matter the industry, businesses today are undergoing an undeniable digital transformation to compete within their respective markets. C-level executives will need to adjust their business-as-usual approach and embrace new technology and innovation to keep up with this transformation. This can be an especially daunting task for mid-market organizations that have smaller budgets and fewer resources. Oftentimes, executives can initially be reluctant to embrace the technology changes needed because they perceive it might involve a loss of control. For example, when moving to a cloud-based model, the chief operating officer (COO), who is responsible for end-to-end business processes, has high-level responsibility to ensure operations are optimized. A typical COO may want to be hands-on to physically oversee that IT is running smoothly – servers are operating and IT teams are fixing any issues. However, just as CEOs have accepted a more mobile workforce over the past few years – and no longer feel the need to see employees to know they are working – COOs are now more comfortable with moving their data to the cloud and partnering with third-party providers to manage their infrastructure needs. There are several factors that have played a part in mid-market executives being able to embrace technology outsourcing, including the cloud. First and foremost, the sheer pace of innovation has overwhelmed many organizations, especially within the mid-market. Security, cloud, mobility, virtualization, analytics, big data and the internet of things (IoT) - these are all initiatives that businesses will need to embrace to stay competitive in the digital age. But, along with each innovation there comes requirements and a specific skill set that most companies cannot afford to fully staff in addition to the other day-to-day IT roles they employ. Because of this, executives have come to recognize the benefit of partnering with technology outsourcing providers to support these new areas of expertise. And, even though the outsourced technology support team members are not physically located within the office, the cultural shift to mobile work models has helped companies embrace these members as part of the extended team. Furthermore, they often get the benefit of 24x7 support, which is additional to current capabilities. As innovation becomes the new norm, executives are also re-evaluating what role they should play. The recommitment to core competencies, while attempting to keep pace with technology innovation, means finding a balance between time spent on day-to-day tasks and achieving strategic business goals. Executives’ business goals include tackling new products, channels and global opportunities to increase revenue and profitability. By embracing an outsourcing partner to manage daily responsibilities, companies have 24x7 coverage and service level agreements (SLAs) that are aligned to their standards, ensuring high efficiency and performance. When looking at the growing trend of mid-market organizations adopting cloud applications, one of the biggest drivers is a better understanding of risk mitigation and commitment to business continuity. Mid-market executives no longer feel the need to see physical equipment to know their data is safe, because they are comfortable that the cloud is more secure than what they have on-premises. Mid-market firms do not have access to the budget, resources and firewalls that larger, Fortune 500 companies do; instead, they turn to cloud applications and third-party providers to address security needs. This shift also has the added bonus of filling any gaps the business may have when it comes to disaster recovery, which has been traditionally insufficient in the market. As executives consider their need for outsourcing partners and cloud applications based on these drivers, they naturally want to evaluate the return on investment (ROI). What they find is that the benefits of transitioning to the cloud and leveraging a third-party partner to manage these critical applications is compelling. From an operational perspective, an outsourcing partner will typically manage day-to-day operations, provide most hardware and software and may eliminate the distractions of end of life (EOL) systems and other upgrade projects that can consume resources and organizational energy. When it comes to cloud applications, security can often be more advanced than what is available on-premises. The recent cases of ransomware and malware relating to on-premises scenarios is the tip of the iceberg. These types of attacks can be damaging beyond the IT infrastructure - possibly negatively affecting an organization’s brand. Additionally, as businesses of all sizes evolve into 24x7 mobile workplaces, the cloud offers flexibility. Executives and employees can access data from their smartphones or tablets anytime, anywhere. When it comes to embracing change, many executives do not want to be first. Rather, as they consider outsourcing partnerships or cloud applications, they are looking for success stories and the adoption rates. These have skyrocketed in recent years, giving executives access to readily available reports and case studies outlining ROI. These examples can show savings in operations expenses, such as the ability to avoid expensive EOL infrastructure refreshes, including storage and servers, and consolidating disaster recovery costs – all tasks that technology outsourcing partners can seamlessly handle. Success stories can also exemplify improvements in productivity and increased system availability offered by a cloud platform. With increasing success stories, executives now feel a sense of comfort as well as urgency to make sure they don’t fall further behind the competition. In the past year, we have seen an increase in technology outsourcing clients requesting cloud applications and managed services. And we’re just one provider. As more mid-market organizations recognize the benefits of IT outsourcing and cloud, the adoption rates will only grow. Industry expectations are that by 2020, the vast majority of companies will be on the cloud for their mission critical applications, and mid-market companies will have fully embraced this technology movement. Frank Bianchi joined CGS in 2014 and has over 25 years of experience in the information technology space. As Sales Leader for Technology Outsourcing, he leads sales for CGS Cloud, Managed Services, Infrastructure and Global Systems Integration. Frank is also responsible for their important VAR program with partners such as Dell, IBM (News - Alert), Microsoft, EMC and Cisco, among others. Prior to joining CGS, Frank held executive and sales leadership global roles at CSC, NEC, CGI and PwC. Frank has a wealth of experience across many verticals including retail, financial services, insurance, healthcare, communications and manufacturing. His solution expertise includes outsourcing, ERP, CRM, big data and analytics, content management and cloud. 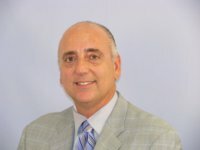 Frank holds a Bachelor degree in Management from Montclair State University and a MPA from New York University.